Who is eligible to file Form I-485 to adjust status? 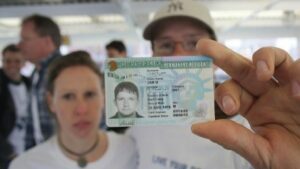 Form I-485, Application to Register Permanent Residence or Adjust Status, is used to apply for a green card. But not anybody can file Form I-485. Eligibility for Form I-485 depends on several factors. Physical presence in the United States through lawful means is one of the most fundamental requirements. But each category of eligibility for Form I-485 has separate requirements. We explain these requirements briefly below. However, determining eligibility for each individual is a more exhaustive process. First, the applicant must be in the United States after being lawfully inspected and admitted or paroled. In most cases, this mean that the individual is in the U.S. with a nonimmigrant visa such as a student, temporary employment, temporary visitor or K-1 fiancé. But refugees, asylees, Cuban nationals and other special classes may also qualify. In some cases, a waiver to the requirement may be available. However, CitizenPath recommends that you find an immigration attorney to assist in these situations. The Form I-485 applicant must meet several requirements set forth in the application that are specific to the category in which he or she is filing. 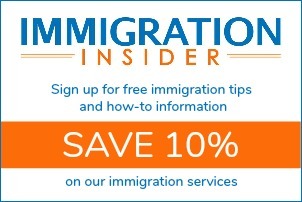 In most cases, the applicant will be the beneficiary of an approved immigrant petition such as Form I-130 (family-based) or Form I-140 (employment-based). These unique criteria are explained on the USCIS website in their Form I-485 instructions. It is a highly complex application packet which typically includes several other complementary USCIS forms. In many cases, applicants use the services of an attorney. There is an alternative solution. CitizenPath provides simple, affordable, step-by-step guidance through adjustment of status applications. Individuals, businesses and even attorneys use the service to prepare Form I-485 and all other required immigration forms accurately, avoiding costly delays. CitizenPath allows users to try the service for free and guarantees that USCIS will accept the application or your money back. Try it now. Eligibility can be a confusing determination. That’s why we allow you to determine your eligibility for free. Simply start our adjustment of status application. The first page of the process will help you determine if you are eligible to file Form I-485 and adjust status to a permanent resident.